From the exchanges during the conference, it was concluded that global players are consolidating in order to increase profits by imposing unfair tariffs and demands on local tug operators to do likewise. PLEDGE solidarity to one another and commit that in case of any industrial dispute, action or strike, none of their membership will break the action/strike by relocating their tugs to the port or hub concerned. DEMAND that tariffs be fully transparent and discounts be published before they come into force. RECOGNISE the results achieved by the ETF in improving the text of the draft Port Service Regulation. The unions in the tug sector renew their continued support to the ETF to make sure that those improvements will be kept on-board by the legislators. They further reiterate their strong concerns over a possible future generalisation of the flags of convenience in the tug sector that could be triggered by EU market access rules. DEMAND that tariffs and discounts allocated to tug clients are calculated and established in such a way that they duly reflect and take into account the full labour cost. Working below cost should be declared unlawful. DEMAND that a tariffs and discounts calculation tool is developed and made publicly available so that all concerned can see the effects on employment and the service rendered. DEMAND that the European Commission to start an investigation to examine the systems and various business models put in place by large tug operators in order to apply for State Aid and by doing so undercut fair competition. CALL UPON the ITF to permanently update the research on international tug operations and put up an information provision tool open to affiliates. 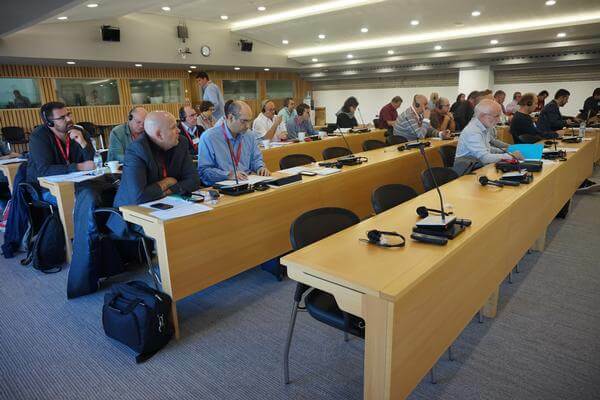 The ITF/ETF Tug Conference meeting in London on 23rd and 24th September 2015 has learnt with great concern of the planned unilateral introduction of unproven working practices and the general poor maintenance condition of the tugs in the expanded Panama Canal and its locks. Express their solidarity with the crews and their unions and salutes their determination in defending their safety and dignity.